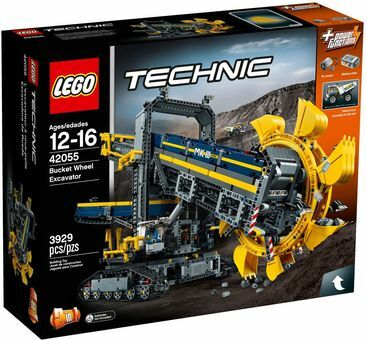 Enter the world of mining on a colossal scale with the massive Bucket Wheel Excavator—the largest LEGO® Technic set to date! This highly detailed 2-in-1 model has been designed to provide an immersive and rewarding build and play experience, and comes with an array of motorized functions, including forward and reverse driving, moving conveyor belts, working boom with revolving bucket wheel, and a rotating superstructure. You can even rebuild the model to create a Mobile Aggregate Processing Plant. This set offers an age-appropriate building experience for ages 11-16.